The Business Messenger Bag is a useful and effective gift for employees and customers. Add your business logo and tagline using transfer colors and enhance your brand’s image. 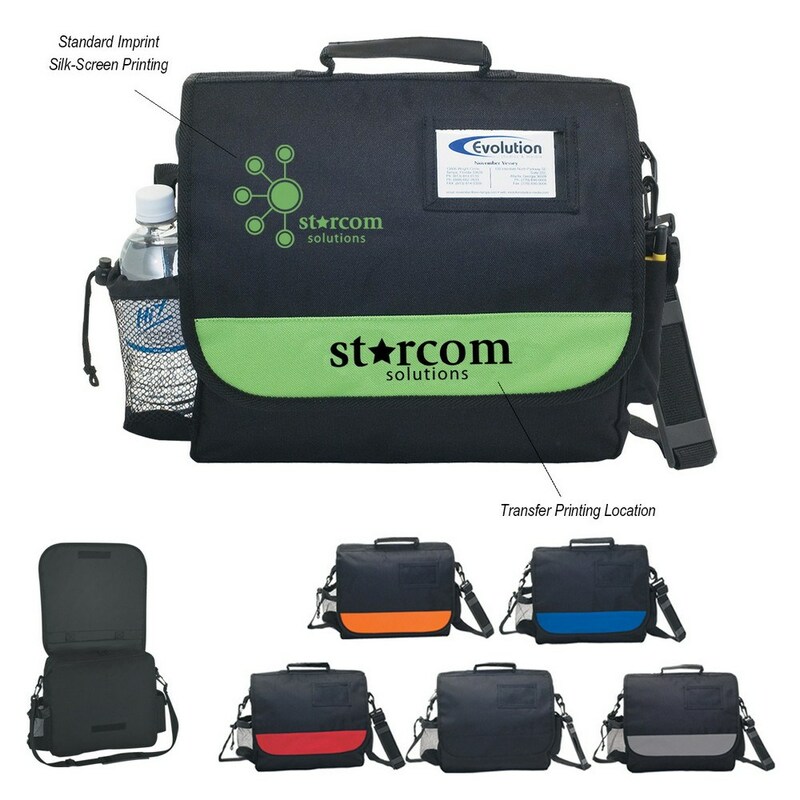 The Business Messenger Bag is a useful and effective gift for employees and customers. Add your business logo and tagline using transfer colors and enhance your brand’s image. The business messenger bag is made using a combination of 600D polyester. The adjustable/detachable shoulder strap makes it comfortable to carry. Separate items, as per your convenience, using the available compartments. There is a convenient built-in slot for your ID.